IF YOU BELIEVE THE OPINION POLLS, the public is less concerned about the character of the president than the strength of the economy. That could quickly change as the stock market heads south and Russia unravels economically and politically. As a former member of the scouting program, I thought I would revisit the Scout Law of the Boy Scouts of America to see what I was taught. Did the scoutmasters think that building character, virtue and integrity ought to be the real business of the country? Did they believe such things mattered only when boys are young? According to such standards, Bill Clinton could not be admitted as a member of the Boy Scouts of America. Were he already a member, his admitted lies and behavior would be grounds for expulsion. 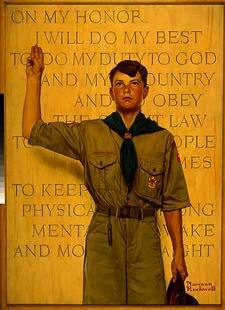 These words have meaning, as do the Scout Oath and Scout Law. They presume the oath-taker will live up to his pledge or accept the consequences for violating them. President Clinton solemnly swore, indicating the seriousness of the oath he twice took. Has he faithfully executed the office, which is not his personal property or a spoil of political war, but a hallowed institution as old as the nation? Has he done to the best of his ability everything he could to preserve, protect and defend the Constitution, or has he attempted to circumvent, undermine and redefine by lawbreaking and debauched behavior our most fundamental document? These are questions an impeachment panel will want to consider. But if Bill Clinton were a Boy Scout, it wouldn't even be a close call. He would be a goner. Why do we promote one set of standards we admire in a Boy Scout and pretend these same standards, not to mention constitutional standards, don't matter or are somehow voided when a boy grows up to become president of the United States? Those letter writers who say this doesn't matter should consider what Scott Ritter, the former U.N arms inspector who resigned last week, told ABC's This Week. 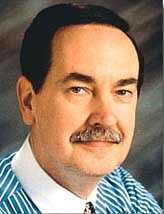 Ritter predicted that Saddam Hussein will resume development of weapons of mass destruction within six months. Why? Because, he said, the United States can no longer mobilize an alliance to stand against Iraq. Clearly that's because world leaders do not believe or highly regard the American president. And that is fundamentally a matter of his bad character.